Although cost may be the primary reason for germinating seeds instead of buying plants, the simple fact is that in addition there are several very important reasons for mastering seed germination. Selected Potting Soil sealed in package to maintain moisture level and viability. Porous material to assist in maintaining moisture level in the SUPERCHARGER while germinating. Nutrient to encourage efficient root generation and growth. Seed samples, Step-by-Step instructions, and Bonus and Upgrade offers. Seeds await specific conditions to complete their destiny. Requirements for temperature, humidity, timing, and other factors are built into the seed. The embryonic plant, stored food, and a genetic capability are within the protective shell just waiting for you to do something. 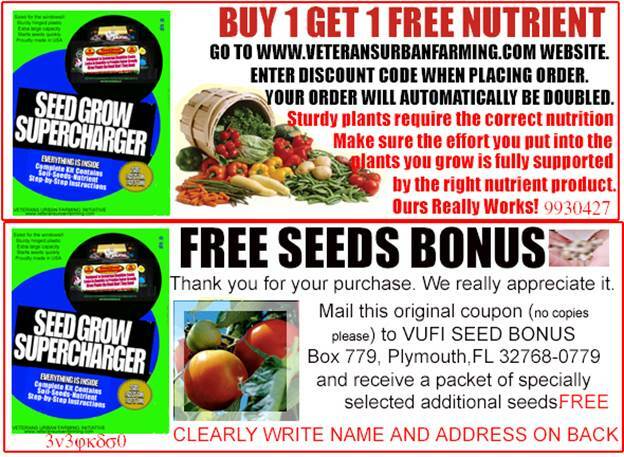 The VETERANS URBAN FARMING INITIATIVE studied the available devices promoted for assisting seed germination and growth. The result is the development of the VUFI unique seed growth system for encouraging seed germination. It provides the necessary growth elements in an enclosed environment that traps moisture and provides a stable humidity to assist in the germination process. The design of the molded plastic SUPERCHARGER includes raised ridges built into the waterproof tray to aide root growth in seeking the nutrient level which is maintained at an intended height. The clear plastic allows for heat buildup which improves the potential for germination. Placing suitable holes depending upon you particular purpose allows for drainage. The built-in structural supports allow drainage hole placement without affecting the overall strength or stability of the SUPERCHARGER. Although the SUPERCHARGER may be used strictly for early initiation of the germination cycle before local frost conclusion dates, indoor applications allow for far earlier start dates. Intended as an associated product to the VUFU Urban Agriculture “HyDRIPonic Tower”, it may also be used in other applications should you choose to do so. Placement outdoors earlier in the maturity cycle exposes the sprouts to general conditions before placement in whatever the final growth location selected. Your SUPERCHARGER contains the “NUTRAAD” Growth Exciter Nutrient to encourage root generation and strength. It also contains the latest development in porous non-soil growing mediums called “Growstone” which is produced from crushed glass and natural Lava Rock. These assist in maintaining moisture levels should you limit temporarily the necessary moisture conditions. Many science classes use the Bush Bean to demonstrate the process of turning the seed into a seedling because they are large seeds and show the typical characteristics. Soaked in water for a few hours, the hard shall releases and exposes two similar halves. Technically called cotyledons, these rudimentary leaf formations are attached to a stem and protect a bud-like center. At the other end, the root tip lies ready to take part in the growing cycle. Many vegetable seeds in addition to Bush Beans such as tomatoes, celery, and cabbage contain two separate coryledons and send up two shoots. Those in another seed family called “grasses” including corn, cereal crops such as wheat and rye which send up a single shoot. Individuals and commercial growers all have their opinion on what type and composition of potting soil works best. Although the general requirements for a suitable growing medium are to be free from disease, have a predictable moisture absorbing rate, are loose enough to allow air access, not contaminated with pesticides, and able to remain loosely packed at the surface level, what you decide to use if it is offered commercially is likely to work. That does not mean it is the perfect solution for your growing conditions but on average, they wouldn’t be selling it in volume through retailers if everybody brought it back. There are a wide variety of so called potting soil mixtures available but all of them are preferable to plain garden top soil. If you are going to opt for anything but the potting soil you may wish to give it a heat treatment to insure that bacteria, fungi and other contaminants are no longer active. Don’t count on it because even with heating, various factors determine how effective heating results are. Temperatures in the 170 degree range will likely kill most things in the soil but you need 212 to really eliminate some of the resistant weeds and viruses. Boiling water does not kill everything. Using a microwave may change the PH or affect minerals in the soil. A conventional oven and a meat thermometer provide encouraging results but some people are convinced that solar energy can be useful. One university stores soil in black bags for several weeks in direct sunlight but details are sketchy as to the results. We have determined that certain components in potting soil mixes provide a suitable alternative to others. This is included in your SUPERCHARGER, together with the growing medium additions and the nutrient composition. Some growers believe the only way to insure their seeds get the very best result is to create your own potting mixture. Many growers have the advantage of years or generations of expertise at this. At the very least they know what didn’t work when they tried it before suggesting it to you. Some of the ingredients in general use for this consist of Vermiculite, sphagnum moss, Perlite, and volcanic ash, in addition to certain generally accepted or “secret” additives. Should you choose to discard the potting soil mixture provided with your SUPERCHARGER be certain to consider factors determining the benefits of whatever is substituted. Your potting soil mixture is formulated from organic materials including one or more of Hyponym peat, forest products or compost, sand, Perlite, and aged pine bark. It is not intended as a commercial growing product and only as a consumer product without warranty or representation, express or implied, concerning the results to be obtained from use and your use must conform to directions and safe practices. The exclusive remedy for any use, and the limit of liability by the provider or affiliates involved in the marketing or production for any losses, damages, or injuries resulting from the use or handling are related to presentation of the original receipt, together with a statement to be reviewed for validity and confirmation of the specific material such claim is related to, and the stated policy of the provider of that specific component, then only equal to a refund of the portion of the overall purchase price represented by the amount of that specific component. The provider of the potting soil provided in your SUPERCHARGER is Hyponex Corporation, Marysville, OH 43041. Whatever your decision, if you intend to replace the provided potting soil we included a good rule to follow is to prepare the mixture several hours before using it. At least you can determine if you put too much water in it and get rid of the excess. It may not help the growing process but at least the mixture will be less gooey. It is important to realize that the soil does not provide nutrients and adding fluid and nutrient is the basis for the commercial applications such as that called “Hydroponics”, the concept of the “HyDRIPonics” method that the Veterans Urban Farming Initiative developed as a far lower cost alternative. The potting soil serves to hold the seedlings in the upright position even if the nutrient provided is really what is causing the seed to generate suitable roots for later replanting. That soil in the “HyDRIPonic Tower” is reduced by the inclusion of water. When using our “Hydriponics Systems we place a layer of potting soil as the uppermost layer above the Lava Rock and "Growstone” (which is restrained by a mesh that allows root passage to the moisture layer) and the Pea Rock which covers the Growth Tray. This is for stability of the stems although whatever is in the potting soil certainly doesn’t hurt the prospects. The cost of purchased plants versus germinating seeds is far higher and this prompted the development of the unique SUPERCHARGER you have purchased. The Veterans Urban Farming Initiative also developed the seed germinating container system that has produced consistent seed germination results. Combined with several potting soil mixes available at retail, the cost reduction from using seeds compared to the cost of plants is indeed proven to be easier on the pocketbook. 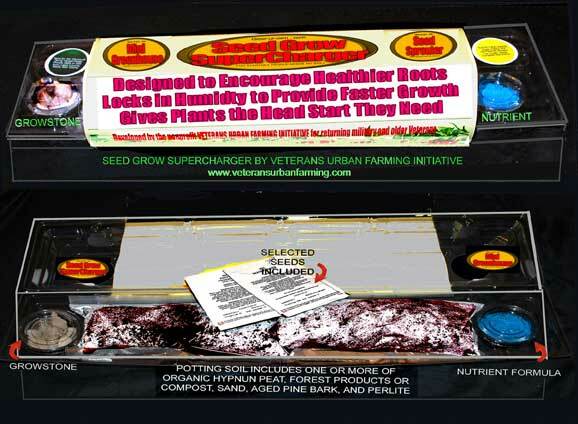 The Initiative also developed a unique nutrient called “NUTRADD” which has provided exceptional results for both seed germination encouragement and root growth with seeds and purchased plants. Both of these are part of the “Hydriponic” Tower System. Consistent results with tomatoes, eggplant, lettuce, onions, and peppers confirms that germinating the seeds does not necessarily rely on the expected outdoor planting date or the end of ground frost. We adopted a pattern for using seeds to sow after initial germination which you may wish to consider as a guide for your own seed-related activity. Get everything you need organized. Set up a place you are going to work at. Read and consider all aspects of the seed packet. Fill the containers with potting soil mix. Abrade or pre-soak seeds as needed. Plants seeds and cover to correct depth. Put in a warm location. 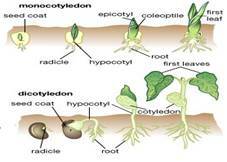 Pre-sprouting certain seeds (melons, Cukes) often have resulted in a larger overall crop. To pre-sprout before planting in the SUPERCHARGER for later planting in the “Hydriponic” Tower, we use damp paper towels and roll them up and keep them warm. Surprisingly, certain paper towels work better than others which either may be due to the paper itself or the moisture retention but “Bounty” works best for us. Then we transplant them into the SUPERCHARGER. Do not let the fledgling root hairs get all tangled up in the paper so monitor the germination and when you see the growth activity, move them carefully to the growing container and let them continue until solid enough to put into the “Hydriponic” Tower. Your SUPERCHARGER has built-in locking tabs to secure the top portion to the bottom portion. The two parts have an integral hinge between them. Some models are intended to double the growth area and include a second SUPERCHARGER to act as a cover when opened and additional components. You may upgrade your SUPERCHARGER by purchase of a second SUPERCHARGER and using it as the cover. Each SUPERCHARGER has sufficient components included for the growing process. In the event you wish to use both the top and bottom of a single SUPERCHARGER for germinating seeds to double the area, be certain to cover them tightly with plastic wrap to maintain moisture levels. We recommend you wear gloves when using any planting material and other safety devices. 1.Open the potting soil packages and place in SUPERCHARGER bottom portion. 2.Wet mix thoroughly with lukewarm water and stir. 3.Remove enough and place on the side to cover depressions you will make for seeds. 4.Blot top layer in bottom of SUPERCHARGER with paper to flatten surface and remove excess water. 5.Let mixture sit to reduce air pockets before preparing to insert seeds into the surface. 6.Use the blunt end of a pencil or pen to make small depression in the top of the soil mixture. 7.Place two (2) seeds in each depression you made. 8.Cover depression with light amount of soil you placed on the side for this purpose. 9.Spray soil surface using mist bottle to insure damp seeds. 10.Remember to maintain moisture level for seeds to sprout correctly. 11.Keep in warm area or in sunlit area until sprouting begins (70 degrees F). Provide periodic air circulation by opening the top of the SUPERCHARGER to aid the sprouting process. When sprouting begins, place in suitable windowsill sunlit area. Some seeds react to having a dilute amount of nutrient solution in the soil immediately. Others only respond to nutrient after the leaves appear after germination (2-3 weeks). As a general rule, studies at the VUFI have shown that germinated seed shoots develop in 2-3 weeks and plants that seem to easily deal with the transition to the “HyDRIPonic Tower” environment, provided you do not damage the sensitive root structure, respond well to replanting in 4- weeks or longer. Be very gentle in handing germinated seedlings and do not overwater the surrounding soil until sufficient root growth develops to stabilize the roots and provide suitable strength for the stems. A VERY SPECIAL BENEFIT FOR YOURSELF! 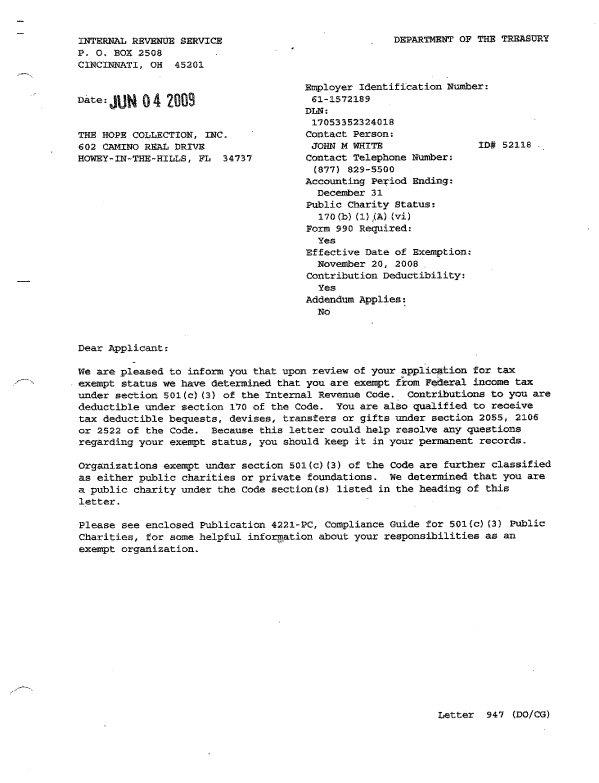 FROM 501(c)(3) HOPE. CONSULT YOUR TAX ADVISOR FOR THE POTENTIAL BENEFIT WHICH MAY BE YOURS.